(Cape Cod News) WOODS HOLE – A research team led by a Woods Hole Oceanographic Institution scientist captured a unique video off the coast of Panama last April. 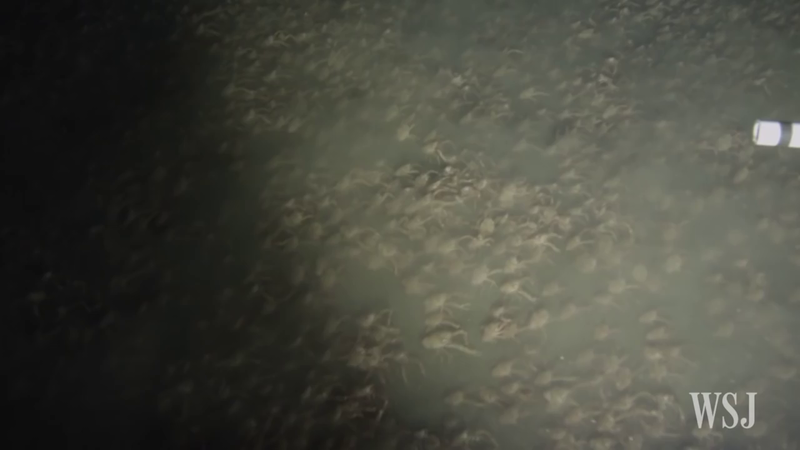 The researchers spotted a swarm of red crabs in low-oxygen water just above the seafloor at the Hannibal BankSeamount. 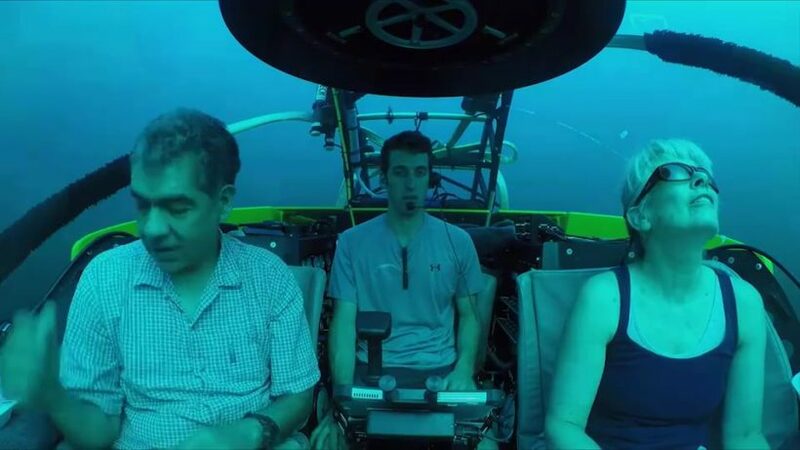 WHOI Biologist Jesús Pineda, who was the chief scientist of the biodiversity cruise, says the encounter was unexpected and mesmerizing. The crabs were spotted during a dive in the manned Deep Rover 2 on its last dive of the expedition. DNA sequencing later identified the species as Pleuroncodes planipes, or tuna crabs, which are abundant off the coast of Baja California, the Gulf of California and the California Current. The video and DNA documentation is the southernmost spotting of the species. The crabs have been found before in low-oxygen conditions and Pineda believes these waters could provide a refuge from predators. Seamounts are ecological “hotspots” that are home to thriving communities of unique species. Less than one percent of these underwater mountains have been studied. A video of the swarming crabs can be found below. 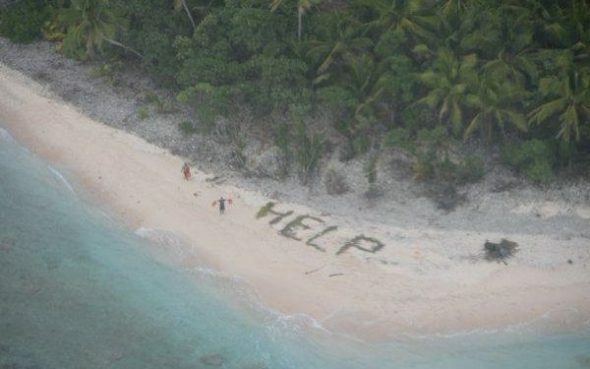 (myfox8 .com) – FANADIK, Federal States of Micronesia — The U.S. Navy and Coast Guard rescued three mariners from a remote, uninhabited Pacific island Thursday after a Navy plane spotted palm fronds spelling the word “help” on the sand. The castaways who constructed the makeshift S.O.S. had been stranded on Fanadik Island for three days, according to the Coast Guard. This island lies about 2,600 miles southwest of Honolulu. 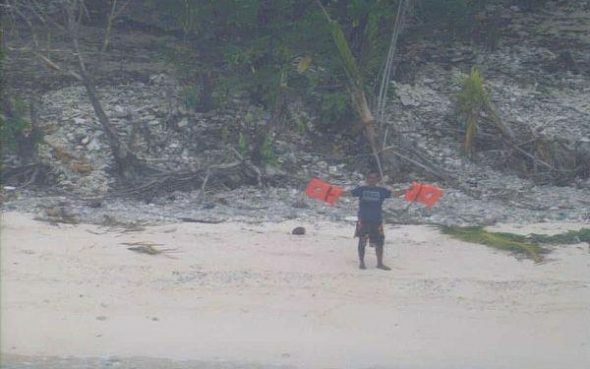 Stranded sailors signal for help on tiny uninhabited Pacific island of Fanadik. Their small vessel had been swamped by a large wave and the sailors were forced to swim two miles to shore at night, said Chief Petty Officer Sara Mooer, a spokesperson for the Coast Guard. The Coast Guard was notified that the three men were missing Tuesday morning. The remote island is part of the Federated States of Micronesia, which is comprised of more than 600 islands. The Coast Guard carries out search and rescue operations for the region due to a lack of local capacity. A Coast Guard command center based in the U.S. territory of Guam coordinated the assistance of the U.S. Navy to help in the search effort. A Navy P-8 aircrew operating out of Misawa Air Base in Japan spotted the “help” sign and the castaways waiving their life jackets Thursday morning. Mooer said that the U.S. Coast Guard has carried out seven separate search and rescue missions in the area since March 28. She added that these rescue efforts have helped save 15 lives. “There are not a lot of resources in that region. It’s very small and very remote,” Mooer said. To help cover the vast amount territory, the Coast Guard coordinates with the Navy and enlists the help of volunteer civilian vessels. Ten of these civilian vessels contributed to the seven search operations over the last two weeks.